Home » Appellate Practice » Arbitration Clauses, What’s in Yours? In Saheli, the court proved this point by closely examining the language of an arbitration agreement to determine whether the parties intended to incorporate federal preemption principles in a choice of law clause—a cautionary tale for arbitration clause drafters everywhere. The Ralph Act and Bane Act were enacted to combat hate crimes; they contain provisions that were specifically intended by the Legislature to discourage arbitration of claims arising under these statutes. (Id. at pp. 320-322.) However, they are arbitrable under the Federal Arbitration Act (“FAA”), which preempts any state rule that “discriminates” against arbitration or which disfavors contracts to arbitrate. (Id. at pp. 320-333.) In Saheli, the parties disputed whether the carve-out clause (excluding “any claim that is non-arbitrable under applicable state . . . law”) means “applicable state law only to the extent it is not preempted by federal law”—as the defendant hospital argued—or means “applicable state law notwithstanding any preemptive effect of federal law”—as Saheli argued. Thus, although the arbitration clause that Saheli signed required the arbitration to be governed by California law, that did not include California laws that were inconsistent with the FAA. Parties should remain aware of the potential complications presented by federal preemption issues when they are crafting arbitration agreements and any carve-outs based on state law. 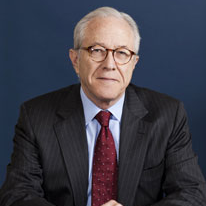 As a litigator, Neil has been lead counsel in a substantial number of court and jury trials, appeals and arbitrations in state and federal courts in the areas of legal malpractice defense, technology, securities, fiduciary fraud, corporate and business disputes, real estate and natural resources involving environmental, water and oil and gas.